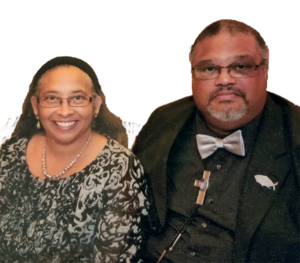 Dr. J.R. Norwood and Mrs. Tanya Norwood are the founding pastor and first lady of our congregation. They are a loving couple and blessed ministry team. They love the Lord Jesus Christ and have dedicated their lives to serving Him. 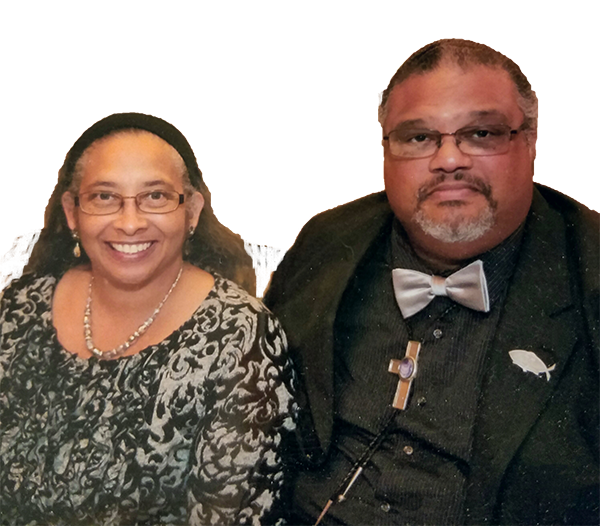 Pastor Norwood has been preaching for about forty years and served in pastoral ministry for about thirty years. He is the primary preacher and teacher of our congregation. He has served as a college, military, and correctional chaplain, and also lectures at numerous colleges, universities, and seminaries. He has earned degrees from Howard University, Princeton Theological Seminary, and North West University. His Doctor of Philosophy Degree is in Missiology (Theology of Missions) and his Doctor of Ministry degree is in Pastoral Care and Counseling. First Lady Tanya Norwood is a mother to those who are younger and sister to those who are older in the congregation. She serves as a "preaching deacon" of the congregation and is the director of Christian Education and coordinates the Women's Ministry. Prior to being an ordained deacon, she served as a licensed missionary and evangelist (lay preacher). She established the Ujima Youth Ministry in 1990, the independent youth outreach that was the precursor of both the Ujima Village Christian Church and the community benefit and development agency, Ujima Ministries inc. The Norwood's have an active ministry with the Nanticoke Lenni-Lenape Tribal Nation, their American Indian tribe. Sister Norwood works with the youth of the tribe and Pastor Norwood serves as a tribal leader and minister to the tribal prayer ministry and mission outreach. Pastor and First Lady Norwood have three children and three grandchildren.